Welcome to Day 2 of the Kidlit411 Birthday Bash Giveaway! You may enter into any and all of the giveaways. All giveaways end at noon, EST, Jan. 15, 2015. Bonus for Facebook members: Today we provide discount codes for our Facebook group members for Prizes 1 & 3, so be sure to join our Kidlit 411 Facebook group to access those codes. We are lucky to have these giveaways due to the incredible generosity of our kidlit community, so if you happen upon these people elsewhere on the internet, please be sure to thank them! In addition, all Kidlit411 Facebook members will get a 10% discount for her newest course, PICTURE BOOK A TO ZS: CHARACTER BUILDING IN PICTURE BOOKS, which starts on Jan. 26. Be sure to join our Facebook group to access that code, good only until January 31st, so don't delay! Susanna Leonard Hill is the award-winning author of nearly a dozen picture books, including PUNXUTAWNEY PHYLLIS (a Book List Children’s Pick and Amelia Bloomer Project choice), NO SWORD FIGHTING IN THE HOUSE (a Junior Library Guild selection), CAN'T SLEEP WITHOUT SHEEP (a Children’s Book of the Month), and NOT YET ROSE (a Gold Mom’s Choice Award winner). Susanna has generously donated her fabulous online course, Making Picture Book Magic for a May (or later) spot (the class is currently full until May). 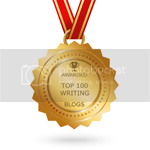 This award winning author also has a very informative and popular blog at http://susannahill.blogspot.com. Be sure to be on the lookout for her seasonal contests where you can win fantastic prizes! And you can read a fabulous review of her class by KidLit411 editor Sylvia Liu. Children's author Emma Walton Hamilton's courses on writing picture books, middle grade, and YA, are among the best online writing courses available. Emma Walton Hamilton is a best-selling children's book author, editor, and arts educator. With her mother, actress/author Julie Andrews, Emma has co-authored over twenty children's books, including THE VERY FAIRY PRINCESS SERIES. Kidlit411 featured her in the Author Spotlight in September 2014. Kidlit411 editor Sylvia Liu took her 14-week course, Just Write for Middle Grade course and reviewed it on her blog: ". . . I basically took an in depth college-level course on novel writing. The amount of information that was packed into their course was staggering. 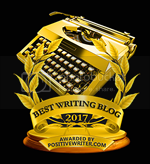 The weekly lessons and assignments covered the gamut of writing chapter books and middle grade books (and any novel, really) from page 1 to The End and after." A self-described children's and young adult literature fanatic, Elizabeth Law has worked in the publishing field her whole life, first as an Editor at Viking Children's Books and Puffin Books, then later as Associate Publisher at Simon and Schuster Books for Young Readers and as Publisher at Egmont USA. 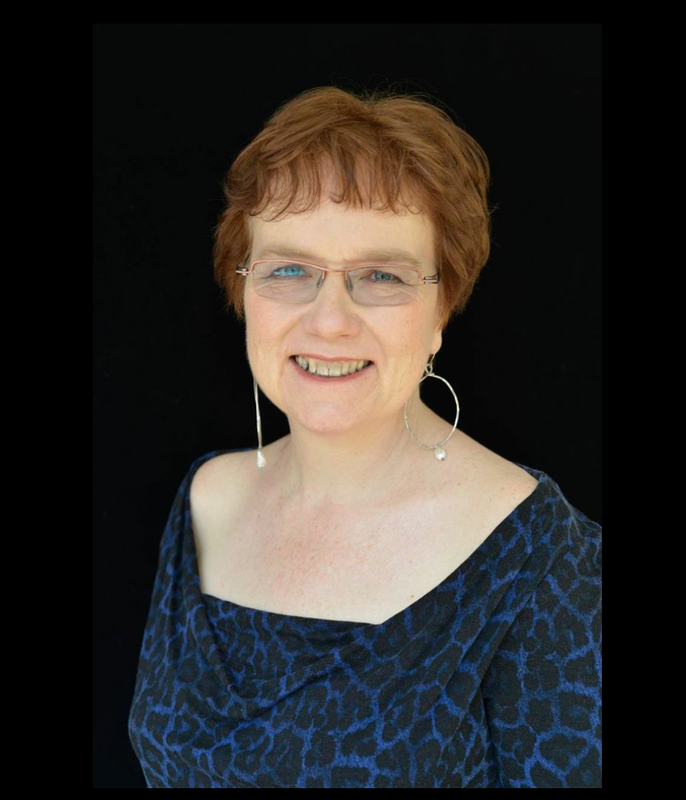 The members of the Kidlit411 team personally recommend Elizabeth's top notched consultation services and featured her in an Editor Spotlight in September 2014. Be sure to check out the interview for her excellent submission advice. Her website is www.elawreads.com, and her blog contains invaluable advice. 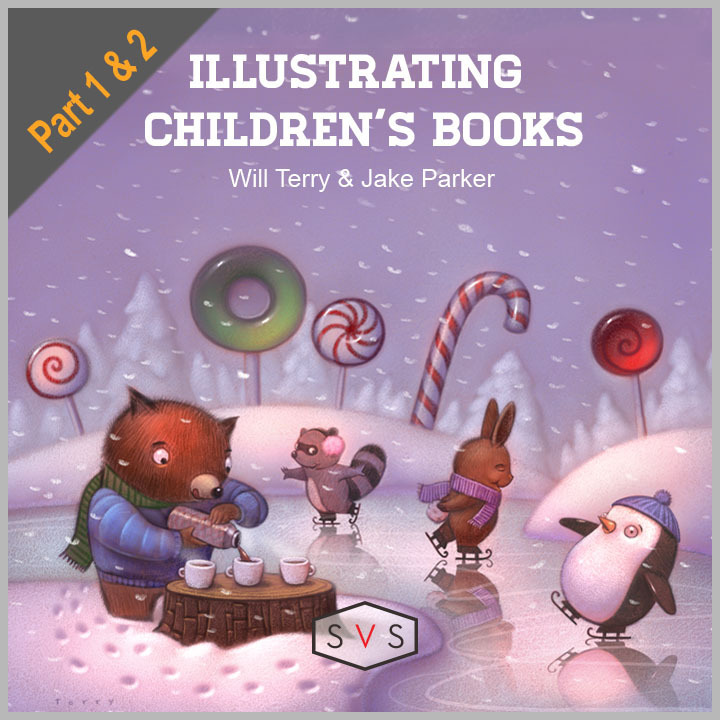 Author-illustrator Will Terry is known in the kidlit community for his vibrant illustrations and the education he provides on his blog, YouTube videos, and online classes (Folio Academy and The School of Visual Storytelling, or SVS). He was featured in our Author-Illustrator Spotlight in April 2014. Together with Jake Parker, illustrator, animation designer and comic artist, the SVS is launching a comprehensive illustration course, Illustrating Children's Books, beginning on January 6 and running through March. Are you excited to improve your craft? If you aren't lucky enough to win one of these prizes, please check out the amazing courses and services featured here. Wow! This is a bash!!! Thanks KidLit411! These are amazing prizes! Party!!! This is even more amazing than yesterday! CELEBRATE! CELEBRATE! DANCE TO THE MUSIC! The KIDLIT magic just keeps on happening. These prizes are amazing! Thanks! Happy celebrating! Wow, these are amazing giveaways - thanks to all for being so generous! Clearly, we all love KidLit411! You guys have outdone yourselves! Thank you for existing! These are amazing prizes! So were the day 1 prizes! WOW! THANKS SO MUCH! Wow! Tremendous giveaways - Sudipta gives a great critique and Will and Jake's classes are so informative. Thank you! Mind-blowing and motivational prizes!! Happy Birthday, KIDLIT411! Such amazing giveaways - again! Happy days! It's could to celebrate a birthday over more than one day -thanks, KidLit411! Thank you so much for sucn wonderful opportunities, KIDLIT411! These prizes keep getting better. Thanks to all th generous prize donations! Wow, thank you for these tremendous opportunities and discounts. Now THIS is my idea of a birthday party. What great prizes! What a generous and fun party! The site itself is already a huge gift! I often have a hard time finding courses that I can afford (on my own budget), so this is AMAZIMG. Thank you for the opportunity and what a great way to celebrate by sharing knowledge. I had to correct that typo! Wow! What an amazing way to celebrate kidlit411's birthday! Thanks for the wonderful opportunities! Awesome. Would love to win this one ! Yey! Great prizes, guys! What a birthday party!! Thank you for the wonderful website, and the fantastic opportunities. If we were all so generous on our birthdays, the world would be a better place! Oh wow. A crit with ELaw is priceless! Great prize!!! KidLit411 is superb! Thank you for offering so many great prizes. Happy Birthday! Some more really great prizes here! Happy Birthday! So nice of you to share all the gifts on your birthday -- thanks! Such great giveaways! Thanks! Happy birthday! Happy birthday and thanks again!!! Thank you for the wonderful prizes and great information and insight! Happy Birthday. So many prizes! My head is spinning! Wow, what another great collection of prizes! Yowza! You're blowing all birthday bashes out of the water with these prizes! Is it just me or is the Rafflecopter missing for prize three? What a great way to celebrate your birthday--giveaway gifts! 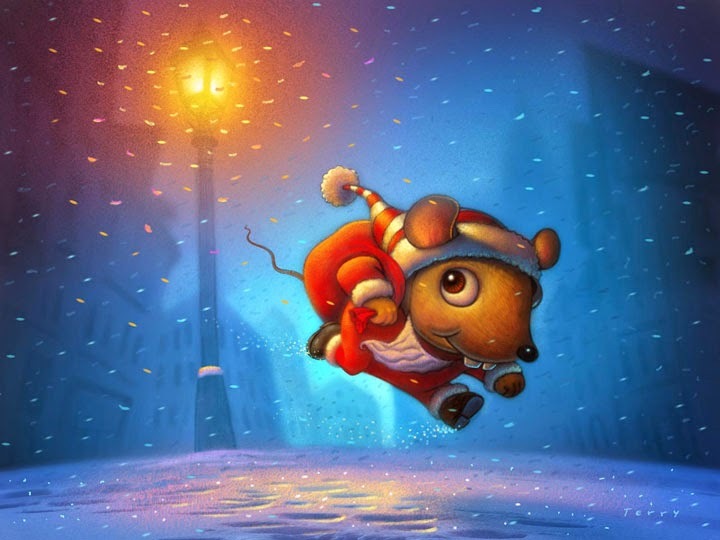 I like the way you think Kidlit411--Wishing 2015 is your best year ever!!! Thank you for the opportunities!! Wow! You sure celebrate in style! Thank you so much for the great opportunities! Happy Birthday! I can't believe the great opportunities you're offering your readers. Fabulous prizes and loads of encouragement. Thanks, KidLit411! Wow! What a terrific line up of classes and critique opportunities!! Kidlit411 certainly knows how to throw a Birthday bash! This is really amazing. Thanks! Anyone of these prizes would be wonderful. Wow. How generous of everyone! Happy Birthday KidLit 411! What an awesome way to celebrate! Wow, what a lot of great prizes! Thank you for such amazing opportunities, such an incredible way to celebrate. Happy birthday! Great prizes! Yay for birthdays! Feeling giddy clicking & rolling thru fun buttons of a KIDLIT 411 Birthday Bash. These are amazing prizes! Best of luck to everyone. What a great list of giveaways! Thank you for the opportunities and for a great year! These prizes are fabulous! Who wouldn't want to win one of these? Thanks for putting your awesome resources and these awesome prizes together. Happy Birthday & thanks for sharing the celebration. Big thanks to everyone who makes this blog, and these birthday prizes, possible (closing eyes and blowing out candles). Such fabulous, FABULOUS prizes! Thanks so very, VERY much, ladies!! More fab prizes! Thank you! Oh my goodness! What a party! Thank you for the invitation! These are awesome prizes! Thank you, Kidlit 411 and wonderful prize donors! Wow to all of these great giveaways! Wow! Critiques! To win would be an honor. And exciting. AND terrifying!. Thank you all so much for donating these wonderful prizes. You are all amazing. Fab prizes! Gracias Kidlit 411 and happy writing everyone! Congratulations, Kidlit411 - and best of luck to everyone! Thank you for all these fabulous opportunities! Thanks for these great prizes! More exciting celebrations! Thank you so much!!! Better than a goodie bag! Looking forward to a great year with KidLit411. Happy Birthday! I am in awe of your organisational skills! Every prize is amazing and just one of the many reasons KidLit411 is such a great space for writers! Thank you! Incredible community - generous donors! We must be on the yellow brink road to the land of KidLit411. :) Thank you for being such a wonderful resource! Happy Birthday! Great prizes from great people. Thank you for all you do. These prize opportunities are fabulous! Thank you to all the donors and to KIDLIT411! Such fun birthday presents for us! Thank you! More great giveaways! You all are great. Thank you KidLit411 writers and to all the talented individuals giving their time. What an awesome contests and great prizes! Thank you so much for the opportunity to enter! Your hard work to organize this is much appreciated! Again, congratulations on your first birthday! You guys are wonderful and I can't believe the great prizes you have been able to organize! I simply cannot believe all of these amazing prizes. We'd be blessed to get either of these. Man oh man. You guys have outdone yourselves on this. You guys are awesome! Can we do this everyday? These prizes are so awesome. I can't believe the generosity of this community and the opportunities given to others. So excited! All of these prizes are priceless! Kidlit411, you are the gift that keeps on giving! Wowie wow wow wow wow! WOW! This is amazing! Thank you for these opportunities! Happy Birthday! I'd love the illustration one. What a great site--so informative! Thanks for the amazing giveaways! Sudipta, Susanna, Emma, Elizabeth, Will, and Jake -- you all know how to celebrate! Crossing fingers. I'm so new to writing, so I need all the critiques I can get! Amazing prizes and information - thank you for doing this! Another great round of prizes! Thank you! I've been wanting to take that SVS class! Really great opportunities; thank you! Wow! These prizes are incredible! Happy Birthday Kidlit411! Your party gifts are fabulous. Thanks to everyone for their generosity! Wow. This is a great opportunity. Thanks!! A great way to say Happy Birthday to KidLit - a place to find out about children's literature. Such amazing prizes! Thanks Kidlit411 and participating authors, illustrators, editors, and agents! So glad I got involved with KIDLIT411 in 2015. Now I'm sorry I missed the first year! I am always amazed by the abundance of information that I find on your site. Thanks for all your hard work. Always a huge fan of KidLit411, and now after this bash I'm a HUGER (more huge?) fan. :) Thanks to everyone who makes this website possible. very generous gifts. Thank you for this site, it's great. How Exciting. Thanks for providing such a great opportunity! What a line-up! You 411ers know how to throw a party! Amazing giveaways. thanks so much! Lots of wonderment Kidlit folks! Thank you! Wow. You continue to impress. Fabulous birthday gifts! Thanks so much. Wonderful prizes from a great site! Thanks Kidlit411! Good luck everyone! So very generous of your contributors and thank you Kidlit411. What a great birthday giveaway!! It's your birthday but for the lucky winners it will feel like their birthday as well!! Great prizes! Fantastic giveaways! Thank you Kidlit411. Wow! Very COOOOOLLLL giveaways! Thanks!! So many fantastic giveaways! Thank you!! Happy Birthday!!! I would love any of the giveaways. Thanks a lot for the opportunity!!! Thank you for the wonderful prizes offered in honor of kidlit411's Birthday Bash! These are amazing prizes. You are an amazing group of people. What a birthday party! Kidlit411 is a present all by itself. Happy Birthday!! What great prizes. My fingers are crossed!